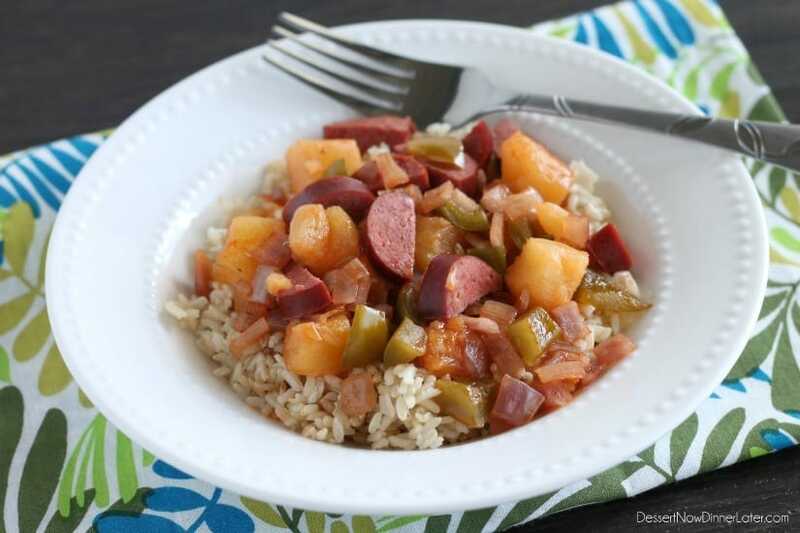 Slow Cooker Sweet and Sour Smoked Sausage - Dessert Now, Dinner Later! 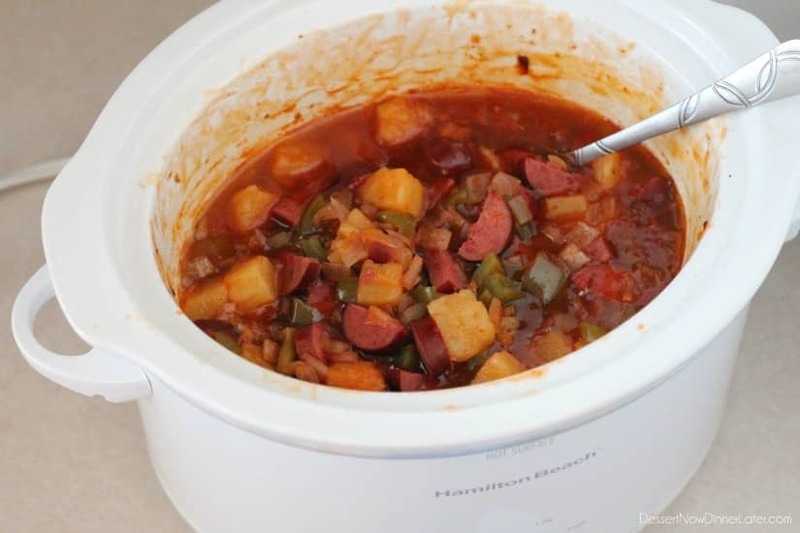 Signs of summer and heat are already here, so I thought it might be a great time to share a crockpot/slow cooker dinner idea. If you haven’t noticed, I love smoked sausage/kieilbasa/chicken sausage/turkey sausage whatever you want to call it. You know, the kind that you get in a long, horse shoe shaped link/rope? 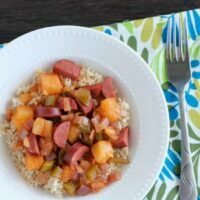 Our favorite meals to make with this kind of sausage are: Quick Sausage Jambalya and Easy Grilled Summer Vegetable & Sausage foil packets with Garlic Parmesan Orzo. This is another meal that has been quickly added to our favorites list. It’s just nice to have a dinner with some other meat besides chicken and ground beef. These 14-oz packages of kielbasa/smoked sausage are usually on sale for around $2.50, more or less. When you add a bunch of veggies and other fillers like serving it with brown rice or pasta, you can stretch that to feed a good size family. 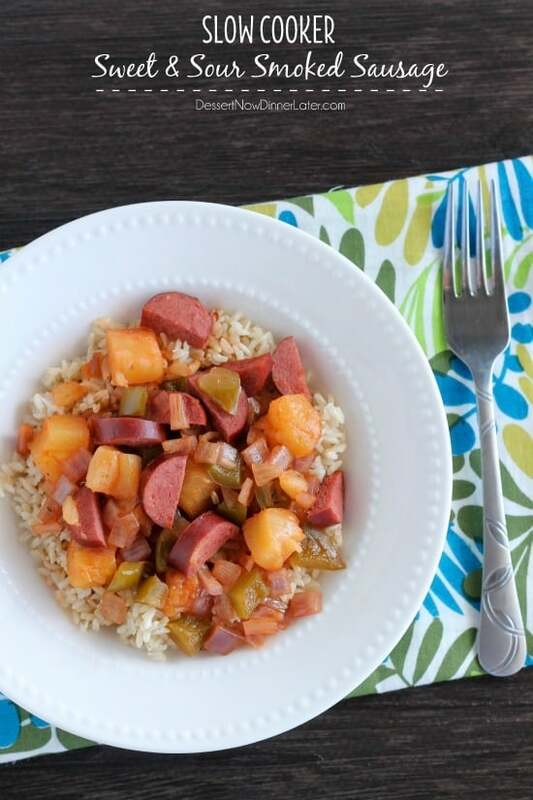 This Sweet and Sour Smoked Sausage dinner is ridiculously easy and delicious. 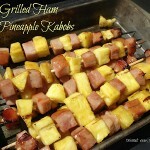 Of course you can substitute cubed chicken instead of the sausage, but give it a try. I think you will like it as much as we do! 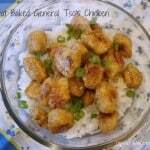 Place all ingredients into a crockpot/slow cooker. 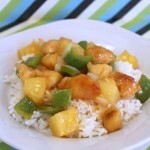 Cook on low for 5 to 6 hours or high for 3 to 4 hours, or until vegetables are tender. What a delicious looking meal! 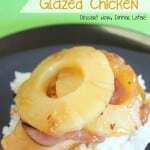 I love that you served it over brown rice – yum!